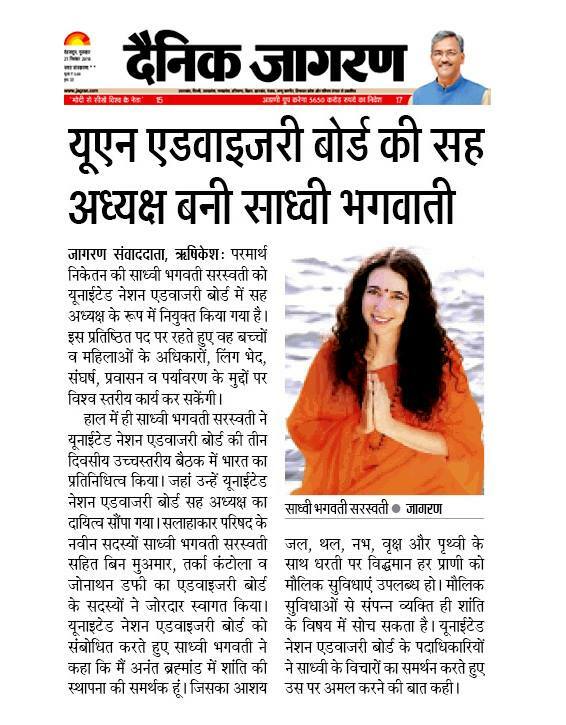 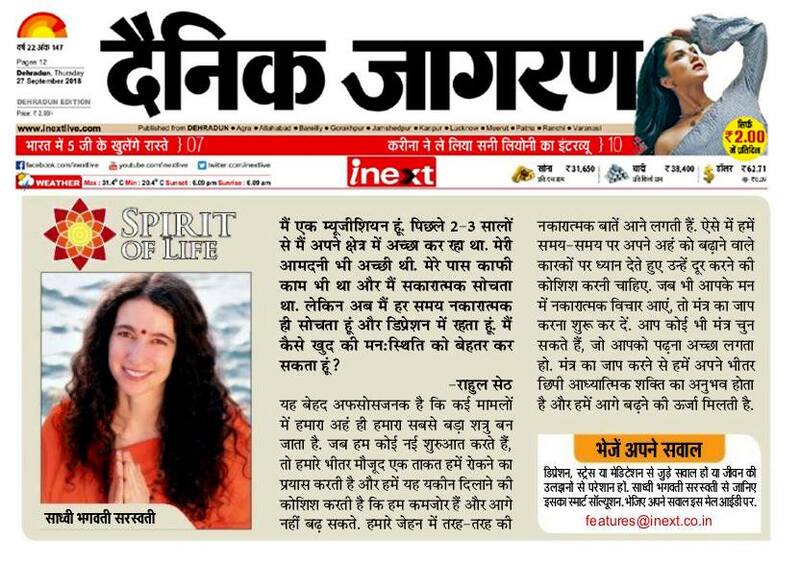 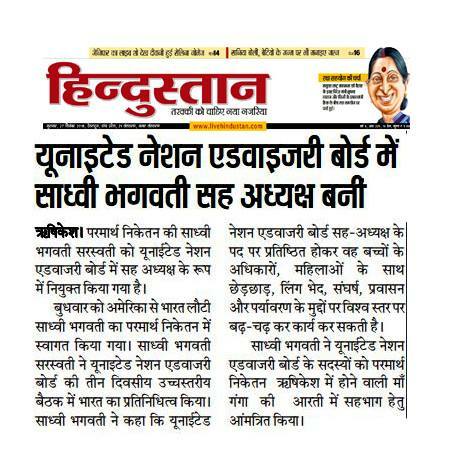 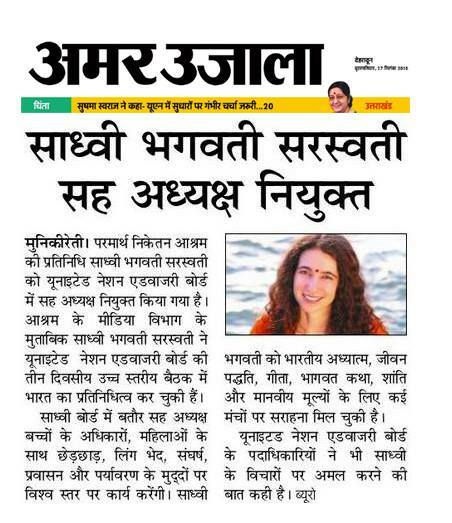 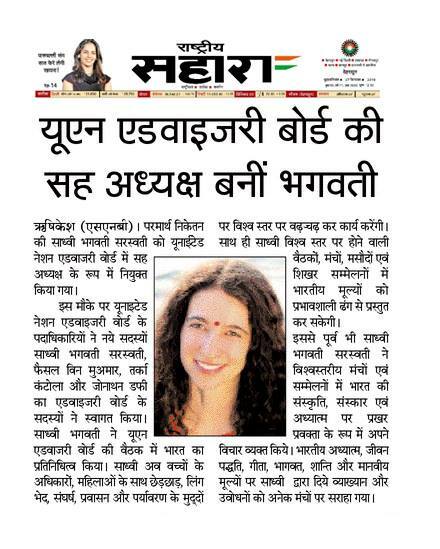 Sadhvi Bhagawati Saraswati​, Secretary-General of Global Interfaith WASH Alliance & President of Divine Shakti Foundation, Parmarth Niketan, Rishikesh has been elected to be a Co-Chair of the Faith-Based Advisory Council to the United Nations. 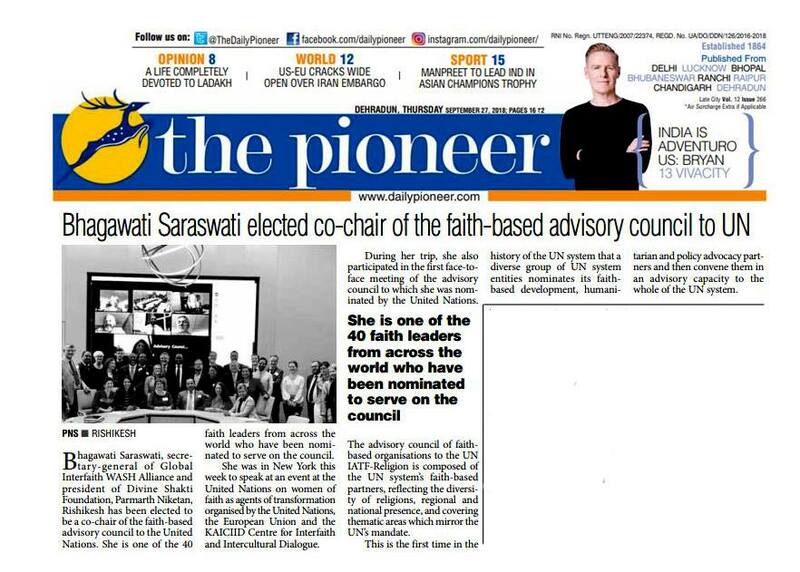 Approximately 40 faith leaders and leaders of international faith-based organizations have been nominated to serve on this Advisory Council. 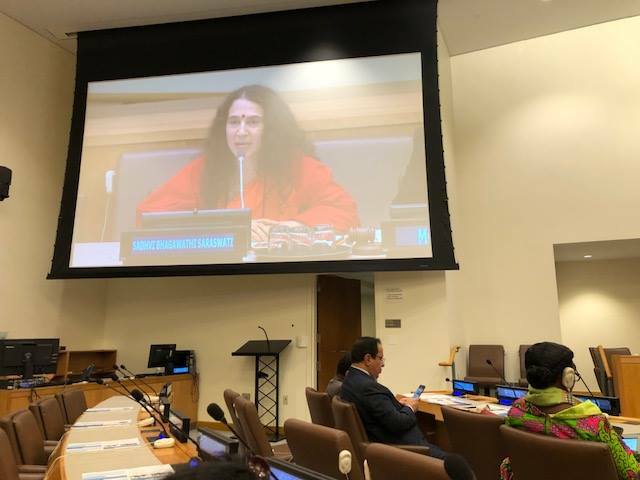 She was in New York this week to speak at an event at the United Nations on Women of Faith as Agents of Transformation organized by the United Nations, the European Union and the KAICIID Centre for Interfaith and Intercultural Dialogue. 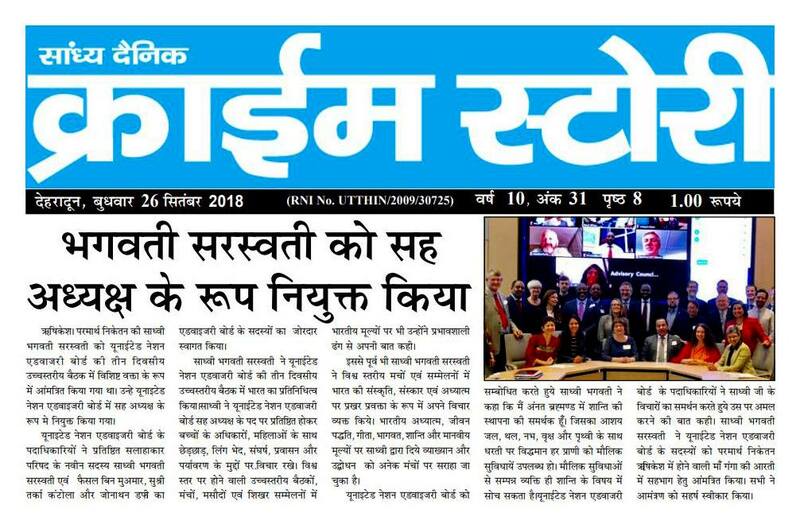 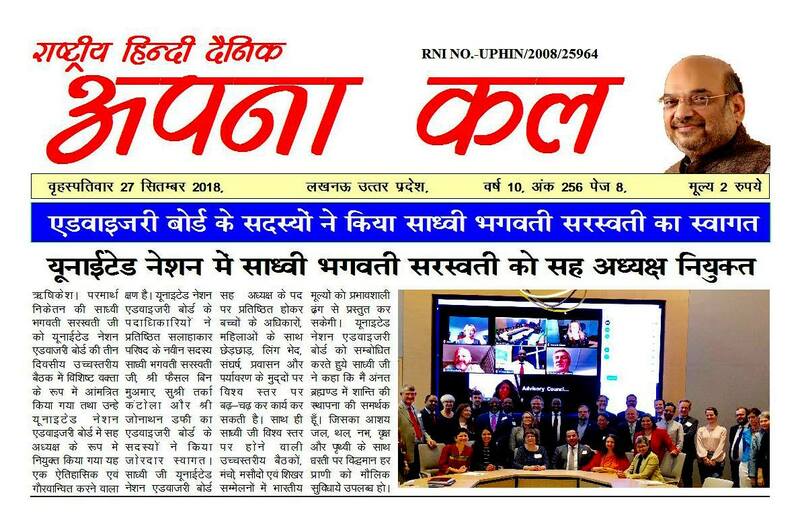 During her trip she also participated in the first face-to-face meeting of the Advisory Council to which she was nominated by the United Nations. 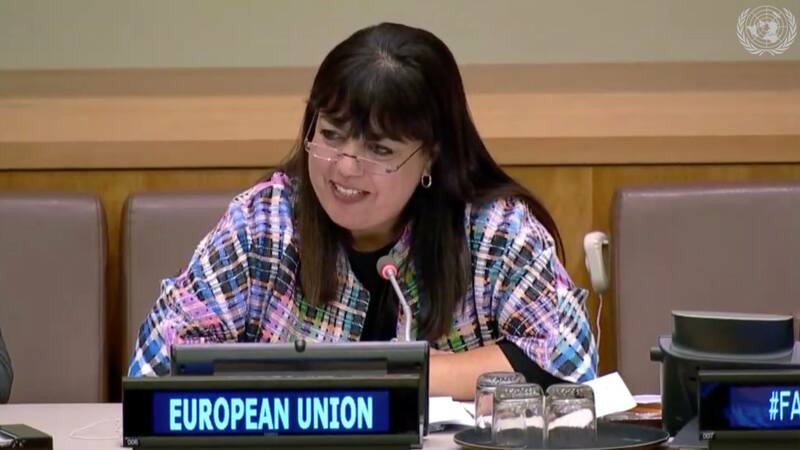 During the meeting, she was elected to serve as a Vice-Chair of the Council. 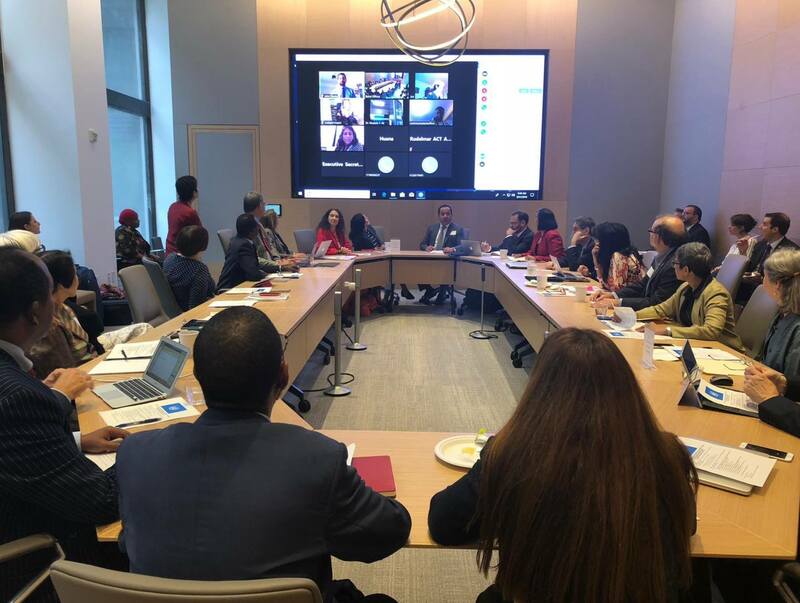 The Advisory Council of Faith-Based Organizations to the UN Inter Agency Task Force on Religion is composed of the UN system’s faith-based partners, reflecting the diversity of religions, regional and national presence, and covering thematic areas which mirror the UN’s mandate. 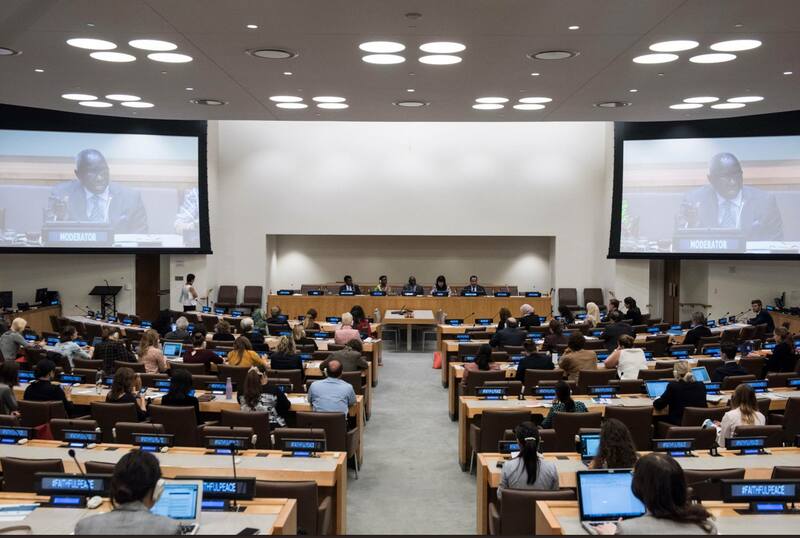 This is the first time in the history of the UN system, that a diverse group of UN system entities, nominate their faith-based development, humanitarian and policy advocacy partners, and then convene them in an Advisory Capacity, to the whole of the UN system.